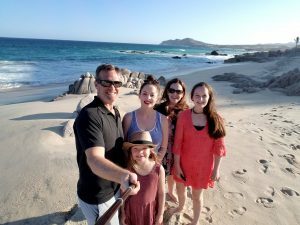 Making Memories in Montana- Planning Guide for Epic Family Vacations – It's a Lovely Life! Are you all in a countdown to summer like we are? 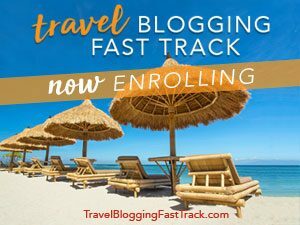 I have a list of potential vacation destinations and seeing the great USA is at the top of our list! As I started researching, Montana who sponsored this post, kept jumping out at me. 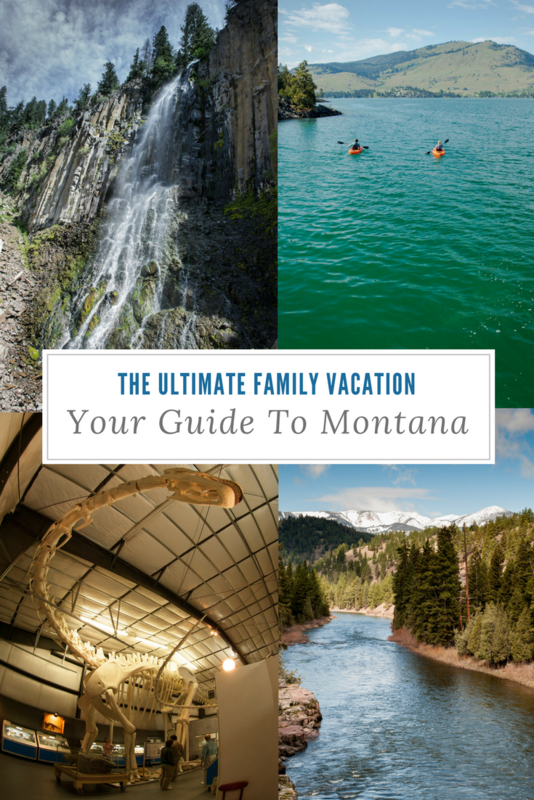 I shared this with the rest of the family and we put together our ultimate planning guide for an epic family vacation to Montana. In this guide, we have something for everyone. 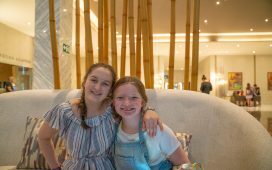 Outdoor adventure for Pete, history, amusement and ghost towns for Maddie, hikes and water sports for Ash, fun in the water and dinosaurs for Emmy and road trips, museums and wildlife for me! And that is just scraping the surface of how family-friendly Montana is. 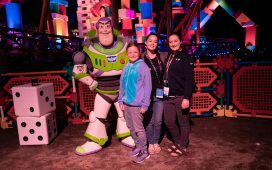 Whether it’s a long trip like we’ve planned here, or just a long weekend, these ideas will give you inspiration to plan your next family trip. Here is more of what we want to do when we visit Montana. Road trip through the state. I'd love to fly in to Missoula in the northwest and then spend 10 days making our way across the state. There are so many little towns along the way and one area we are especially excited to see is Missoula! There we will be able to adventure north to Glacier National Park and enjoy the sights from canyons, rivers, and mountain tops! 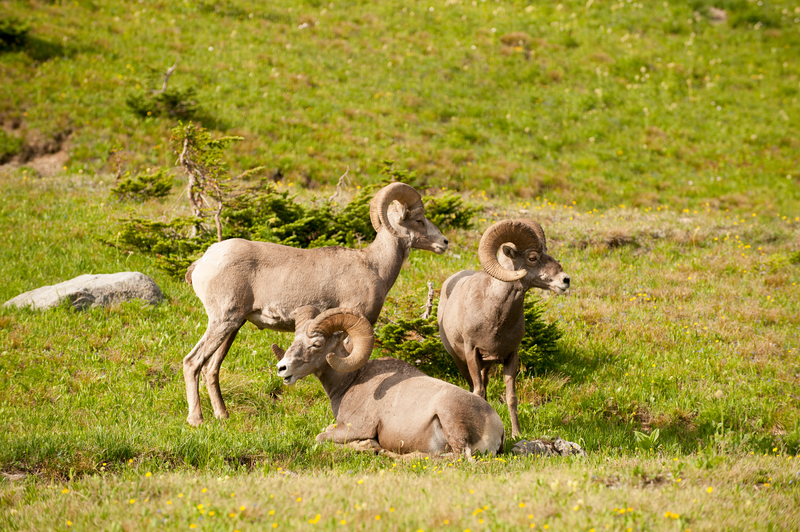 Glacier National Park is also home to mountain goats and bighorn sheep, so I plan to get my wildlife fix there! I know Pete will be super excited to go Whitewater Rafting on the Blackfoot, Bitterroot and Clark Fork rivers with guides. There are even flatwater tours that cater to little ones so Emmy won't be left out. We will also want to spend at least one day at Flathead Lake. It is 200 square miles where you can go sailing and paddleboarding. Since it is the largest natural freshwater lake west of the Mississippi, it's also perfect for swimming. We love learning about the history of the places we visit, and the Great Falls area is perfect for that. Not only are there relaxing springs and rivers and 60 miles of trails, but also a lot of fun frontier history to learn. On our way to Great Falls from Glacier, we plan to stop in Bynum to view the world’s longest dinosaur at Two Medicine Dinosaur Center. Then, we plan to stop at historic Old Fort Benton to see a frontier marketplace filled with robes, beads, and cloth that once filled this original trading post. There are also numerous museums around the town, including Homestead Village, with restored homes and businesses moved from abandoned homestead-era towns. I can't wait to see this! In Great Falls, we want to explore the Corps of Discovery at the Lewis and Clark Interpretive Center and make time for water fun. Emmy will love spending a few hours at Electric City Water Park. 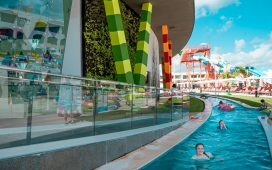 She can surf on the Flow Rider, float the Lazy River, ride the Power Tower slides, swim and play in the Mitchell pool or take in the state's largest children's water play structure. Have a wild time and see some ghosts! I'm not sure we will really see ghosts, but we do plan to look! 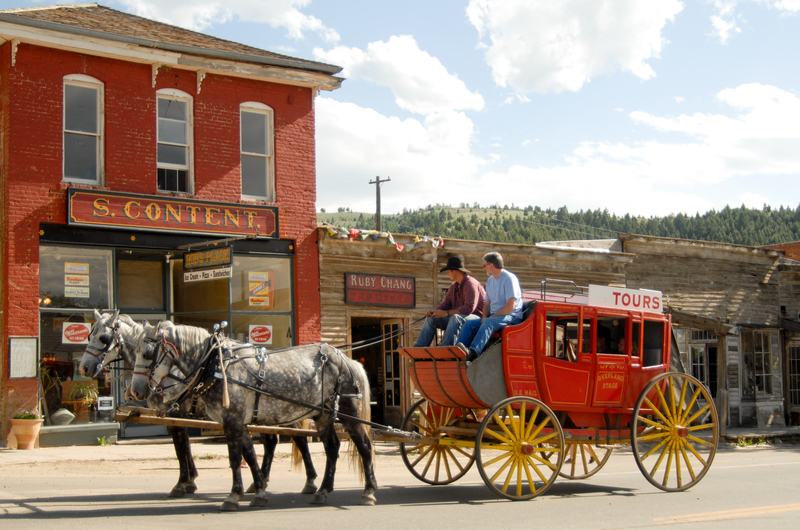 The Butte area is known for their ghost towns and a Wild West good time! You can even find cowboy cookouts and tours that go deep here. There are few places in the West that can convey the same sense of historical depth as Butte. The grand buildings of the downtown area are a marker of the bustling commerce of yesteryear. “The Richest Hill on Earth” still offers experiences worthy of the name and the whole family will enjoy an underground tour of the mines that made Butte what it is today. It doesn't get much cooler than a helmet with a built-in light, right? Everybody gets to wear one on tours that venture into the Orphan Girl Mine (part of the World Museum of Mining). I think we would all have a great time in Bannack State Park panning for gold near the site of the state’s first major discovery (in 1862). The town—Montana’s first territorial capital—now has no residents, but we can still take a guided tour of the 60 abandoned log and frame structures. We might even get a taste of early 1900’s life behind bars with a visit to the Old Montana Prison in Deer Lodge where we can go behind the 24-foot-high sandstone walls to see stark maximum-security cells and a courtyard where convicts exercised. Yikes but fun! Lots and lots of hiking. This one will come as no surprise, I'm sure. 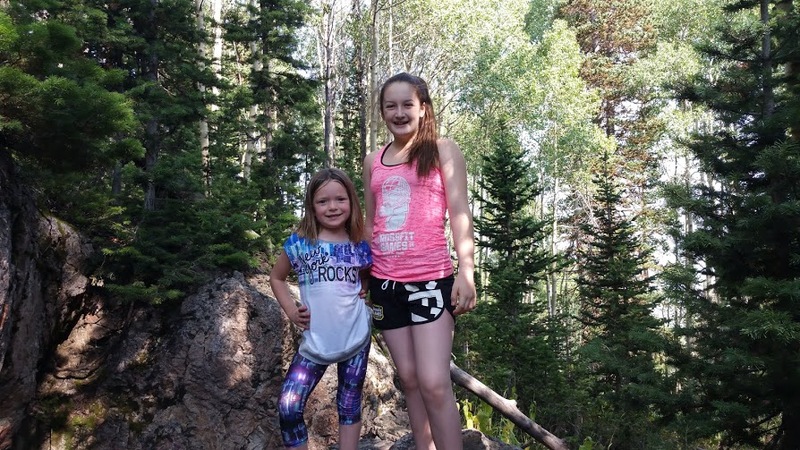 Pete, Ash, and Emmy live for a good hiking trail. Maddie and I are more of the spa-going crowd, but even we are excited to hit these trails. 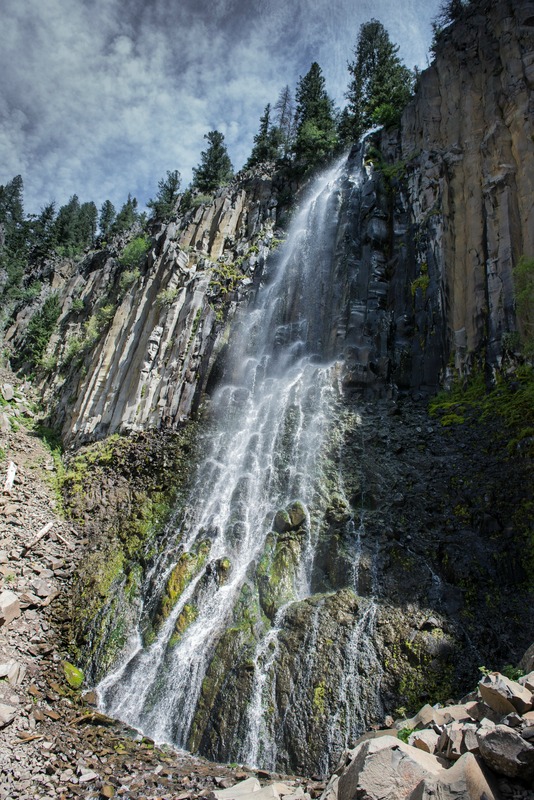 At the top of our hiking lists is Palisade Falls south of Bozeman. This is an uber kid-friendly hike that is only a half-mile long to see these beautiful falls! We are also looking forward to seeing wildflowers (and a few salamanders) at Grotto Falls, reached after an easy 1.3-mile path. At the nearby Lewis and Clark Caverns State Park in Whitehall, you can slide down a natural tunnel, so that is on our list too. Actually, we have a few other things we plan to do while we are in the Bozeman area, including swimming in hot pools heated by Mother Nature at Bozeman Hot Springs, Norris Hot Springs, or Chico Hot Springs Resort and Day Spa. Speaking of spa time, maybe we will stay a day and enjoy some treatments? 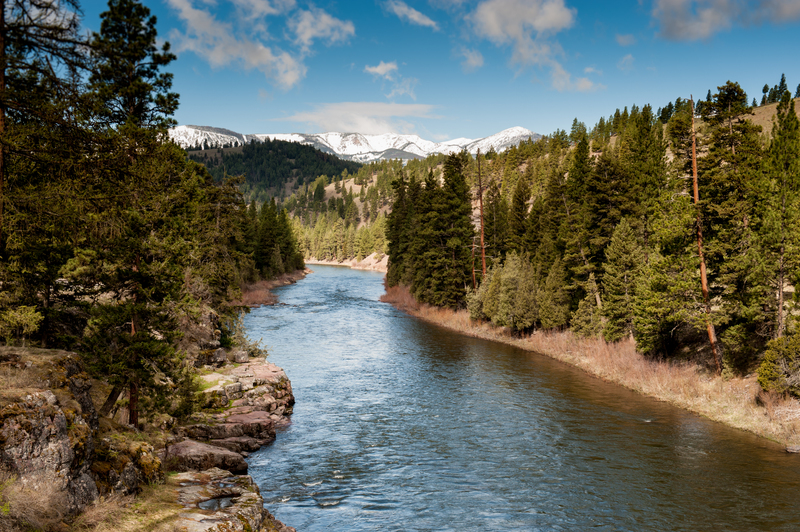 No visit to the Bozeman area is complete without ziplining and of course, spending some time taking in the beauty of Yellowstone National Park. We are all excited to see Yellowstone. That sounds like a dream come true! Montana speaks my love language when it comes to museums. Thankfully, I'm in a family of museum lovers so we always add these to our list of activities. Montana has them sprinkled throughout the state, but one that caught my eye is in Billings called Wise Wonders Children’s Museum. I'm excited for the exhibits and stations which engage curious, creative, and scientific minds in a playful learning environment. 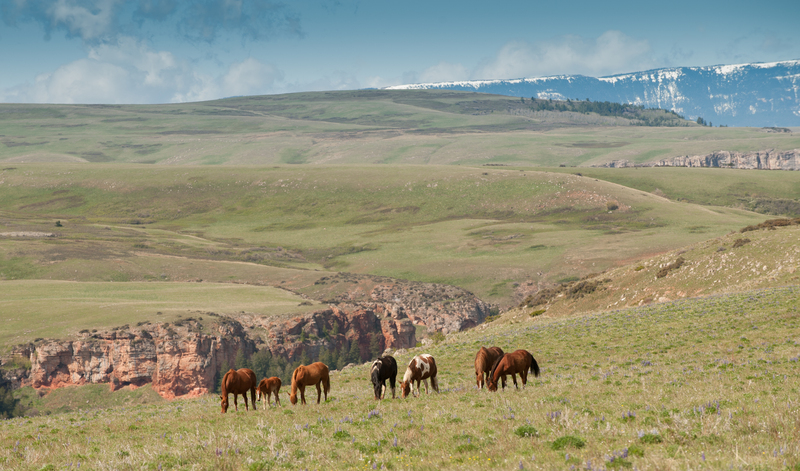 While we are in the Billings area, we are also looking forward to being able to see horses and dinosaurs in one spot! We have a family pact to always look for opportunities to ride together and Billings has both riding trails and dinosaur fossils to discover and learn about! As Emmy would say, “it can't get better than that”. The Southeast Montana area is also home to beautiful rolling plains, prairies, and badlands that intersect to form some of the Lower 48's vastest stretches of pristine landscape. Sign me up for ALL of that! Learn more about Montana and plan your own perfect vacation here. Montana looks like such a beautiful state. 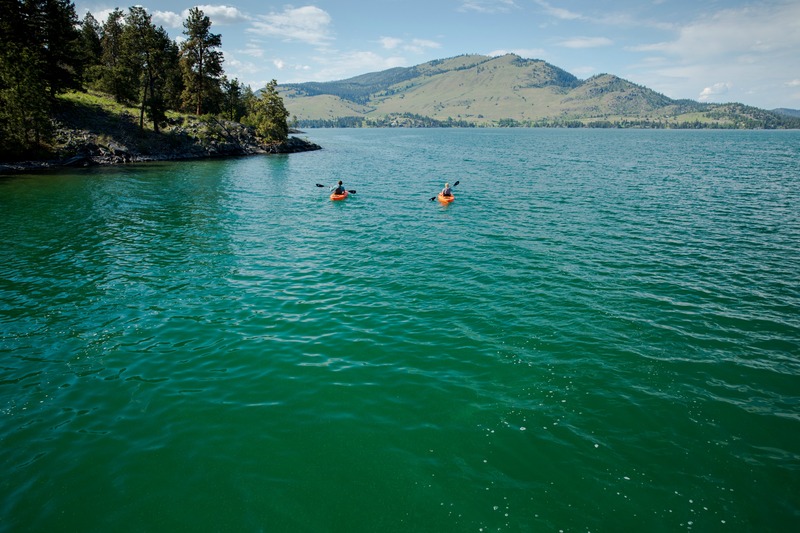 Flathead lake would be a perfect spot to relax , take a swim and chart out a course to those ghost towns! I would love to pack up the family and take a relaxing vacation to Montana. It looks so picturesque there! A little hiking and kayaking and taking in nature away from electronics sounds wonderfully refreshing! Montana is a beautiful state! Everything I’ve seen in photos is that it looks peaceful and picturesque. Going there would make for a great vacation. Getting in touch with nature and maybe seeing some ghosts sounds wonderful. Montana is on our list of states we haven’t visited yet. I know when we finally make it there we’ll be overwhelmed by all the natural beauty! Montana looks amazing! I love places with rich terrain and scenery! I would say Montana fits that bill perfectly! Wow from the pictures it looks like an amazing place. I’m going to put it on my bucket list. You have a wonderfully planned vacation. I’m sure you all will have a great trip. Looks that you had an awesome day there, Montana was look a lovely place to visit with my family during this summer vacation. 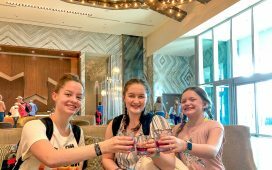 What a fun trip! Looks so amazing there!!! I agree with you. Also it is great that this place is free from vandalism, and other tourists abuse. Wow Montana looks like a wonderful place to enjoy time with the family. I had no idea you could so so much in Montana. I hope to travel more with my trio this year! This came perfectly in time. I am also looking for nice places to visit in the summer, something that I always try to do. Thanks for sharing! Wow! 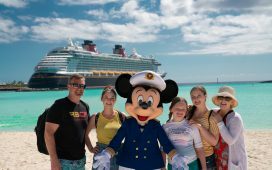 Seems you have a great family time! Montana can be very fun. This is great! I had no clue that Montana had awesome spots for vacationing. Going to put this on my bucket list. Montana is such a beautiful place to visit! I went as a kid and I would love to go back! The scenery here is just gorgeous. I would absolutely love to visit Montana with my family one of these days! Montana looks amazing. I’m a kayaking fanatic and would love to kayak there. Beautiful. I’ve been hearing a lot about Montana! I’ve always wanted a dude ranch vacation with my boys, so we’ll keep Montana in mind in the next few years. Lots of great outdoor activities! Wow, I’ve never been to Montana but it looks and sounds like a great place. Nice pics. And thanks for sharing. I always love reading posts about places I’ve never been to. Montana looks like an awesomr place. Neverbeen there but I could just pack and totally leave now.. I really need a vacation now and thanks for reminding me. Montana is very picturesque! My husband had to travel for work and we didn’t have much time to sight see. However, we did drive through Glacier National Park and it was beautiful. I hope to do a road trip and visit some of the places you mentioned. I would love to see Yellowstone! What an amazing place to have an adventure!! I can’t wait to explore the US a bit more! Montana looks stunning. Such beautiful landscape and a great place to spend a family holiday. I would love to visit place like this with my family. I think you had a great time there. Loved reading about a new and beautiful place .. Would love to visit Montana once.. Hope the tickets aren’t that expensive from India. wow Montana is just stunning! 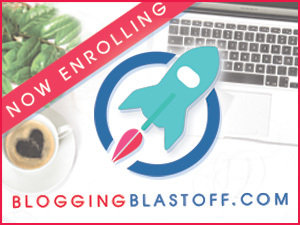 We’ve never been but it looks amazing and my children would love getting outdoors! 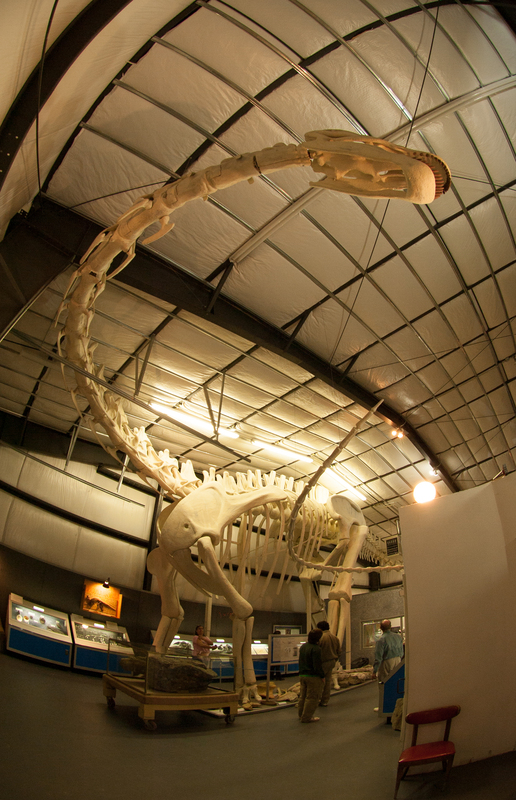 Love to explore the history of the places… sometimes I want to sit in a Time Machine so I could feel those historical places…Montana is a great place …my kids will literally amaze by world’s longest dinosaur!!! Montana looks like such a beautiful state. Its such a intersting state, i’ve always wanted to go travel the US and that mught just be the first place to go!! Montana is beautiful! We drove through Glacier National Park and it was so picturesque. There is so much more that we wanted to do and didn’t have enough time. We also want to go to Yellowstone. All of it there just looks so amazing. I know my daughter and I would love visiting up there. I remember getting pictures from up there and just thinking about how beautiful it all was. I really know I need to go there soon. I have to say Montana wasn’t in my bucket list, but now it is. Those views are stunning and the entire trip sounds like lots of fun. Oh la la this place is never boring! I would like to experience canoeing here and admire the beauty of Palisades Falls. Magnificent nature’s creation. Montana looks perfect for a family holiday! I would love to visit the two Medicine Dinosaur Center with my family! I’ve never been to Montana! It looks so beautiful! Looks amazing and peaceful there. The Longhorn sheep are too cute!! I have to admit I am a little jealous! All of the things you mention in this post are beautiful and exciting … but for me the bet part would be seeing my brother who moved to Missoula about a year ago 🙂 (haven’t seen him in about 4 years though) Can’t wait to see all about this trip! I have been wanting to visit Montana for as long as I can remember. 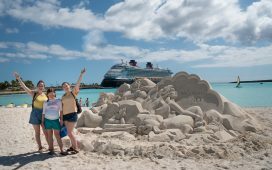 You just made me think about prioritizing our next trip to get there! This sounds like such an amazing place to spend some time exploring! The area looks just stunning and with so much to do and see.